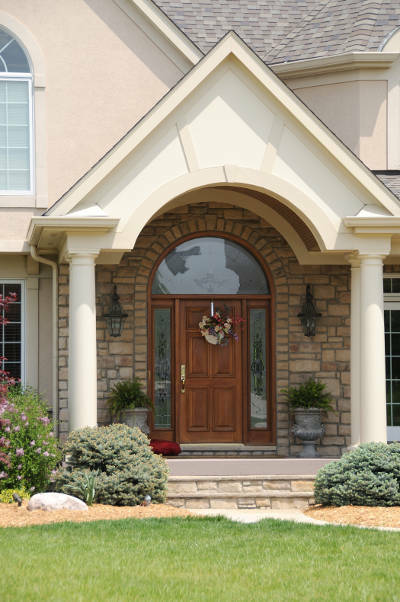 When you’re looking to improve your Milwaukee home, why not start with your exterior doors? They’re the first impression visitors have of your home, they protect your family from outdoor elements and they improve your home’s curb appeal. This is why you can’t just choose any old exterior door. You’ll need to consider the type of door, the material used and Milwaukee’s erratic weather before making an educated decision. We’ll give you a few tips before you choose your next replacement exterior door for your Milwaukee home. When you start investigating replacement exterior doors, it’s important to know that not all doors are the same. You can find a replacement door just about anywhere, but you won’t get the same benefits of a completely customized exterior door. For instance, your Milwaukee door shouldn’t be the same as a door found on a Miami home. They’re two totally different areas of the country and require different features from their exterior door. That means you’ll want something special for your home! Color, style, material, size, insulation and hardware are all ways to customize your exterior door to make it your own. Different exterior doors are made for different areas of your home. They also have unique functions and abilities specific to them. Knowing what type best fits your needs is crucial to getting the perfect exterior door for your Milwaukee home. Don’t let your entry door be dull and lifeless! Since it’s that first impression someone gets of your home, it should make a statement about you. That’s why it’s important to get something that fits your style and will make your proud. Not only that, but it should improve your home’s curb appeal. It isn’t all about aesthetics though – energy efficiency is important to consider when getting an exterior door, especially in Milwaukee. 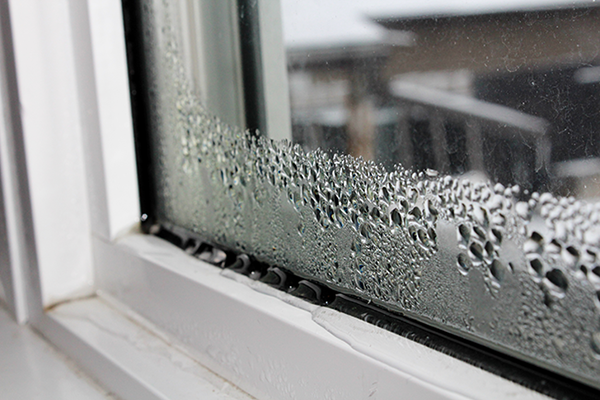 Freezing winters and brutally warm summers in the Midwest can take a toll on you and your home. The last thing you want are those outdoor temperatures to enter your home. Well-insulated exterior doors will keep the weather and elements out. This will prevent your heating and cooling systems from working too hard and will save you money on your utility bills. With a variety of entry door options, you’ll want to keep energy efficient and aesthetics top of mind. It will help make deciding on an entry door much easier. A beautiful patio door will complete any room of your home and will provide easy access to your patio, deck, backyard or balcony. They’ll maximize the amount of light that enters your home and will give you control over air ventilation and temperature which is extremely desirable for Milwaukee homes. 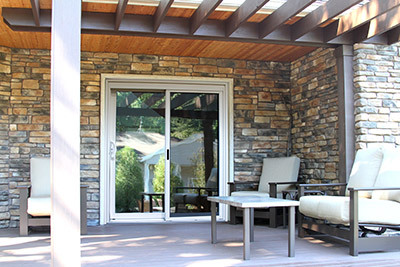 There are two popular styles of patio doors: sliding and swinging. Sliding patio doors open easily thanks to their track so it’s very easy to open. 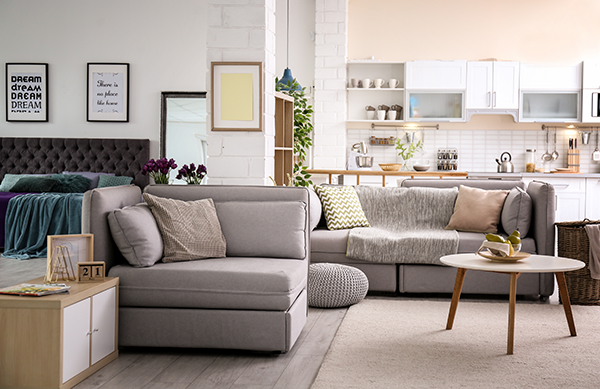 Since they slide, they take up less space and perfect for any size room, no matter the amount of available space. Swinging patio doors, also known as French patio doors, are a gorgeous substitute for sliding patio doors. They can be customized to swing inwards or out from your home. They also will become a gorgeous center piece of any room. If you aren’t ready to replace your exterior door or would like addition protection from the elements, consider purchasing a storm door. Milwaukee experiences an average of 34.41 inches of rainfall and 47 inches of snow each year, not to mention the threat of hail and heavy winds. Midwest weather is unpredictable. In other words, your exterior doors are at risk of being damaged. Fear not, storm doors will come to the rescue. 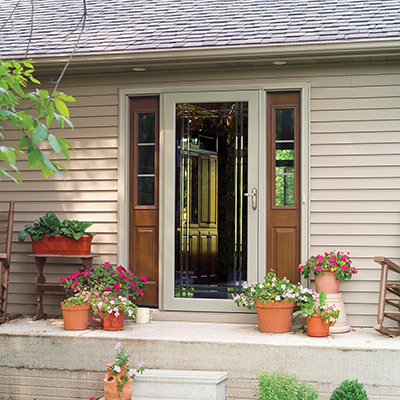 Storm doors are the perfect addition to your Milwaukee home! They were built to endure the elements of any season. They do this by forming a barrier between your door and the outside elements. Thanks to storm doors, rain, snow, hail and heavy winds will no longer be able to damage your exterior doors. That’s not all they do though. The barrier created between your storm door and exterior door increases your home’s insulation. With average lows of 18°F during the winter, your Milwaukee home can benefit from the extra insulation. There are several different materials commonly used for doors. Each one has a different set of benefits, so it’s up to you what you find most important for your Milwaukee home. Wood doors are an extremely elegant option that will surely improve your home’s curb appeal. The traditional look is very sought after for Milwaukee homes. That being said, wood exterior doors have their fair share of flaws that could entice you to go with a different option. Wood exterior doors require a great deal of attention and maintenance to keep their luxurious look. You’ll need to stain and paint them often and they’re prone to warping and rotting. You’ll be putting a ton of extra money into their upkeep. Speaking of money, wood exterior doors are very expensive. You’re paying for the traditional look at the expense of other important features. Is the price tag worth aesthetics alone? 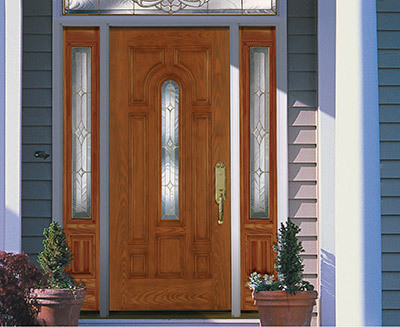 A wood exterior door’s elegance can be recreated with a fiberglass exterior door. Fiberglass is a cheaper option that comes in a variety of colors and finishes to achieve the look of a real wood door. In fact, they’re extremely customizable so you can create the perfect door to accent your Milwaukee home. Fiberglass also requires little to no maintenance to preserve it’s wood look. While wood exterior doors require more money each year for maintenance, fiberglass will save you money over time. Energy efficiency is vastly important when selecting an exterior door for your Milwaukee home. Fiberglass doors are well insulated due to their foam filling. No drafts or outside weather will be getting into your home which will save you money on your heating and cooling bills in the long run! Steel exterior doors are a low maintenance, highly secure option. They’re resistant to fire, weather, warping and cracking and require very little upkeep in order to look their best. Most steel doors are made from 24-gauge steel so they’re difficult to kick in and can’t be bent or dented. This adds a level of security to your home that you wouldn’t get with other material options. They aren’t slouches when it comes to aesthetics either. Steel exterior doors come in different color choices including some wood grain finishes, so it’s easy to customize one that works for your Milwaukee home. As we mentioned before, Milwaukee weather is unpredictable. The summer average high temperature is 80°F, winter’s average low temperature 18°F and there’s nearly 80 inches of precipitation annually. Your exterior door needs to insulate your home and protect you from the elements. The added insulation will help decrease your utility bills as well. With drafty, poorly insulated doors, your heating and cooling systems have to work extra hard to reach your desired temperature. A well insulated door, however, will cut down on the effort used by your systems and will result in lower bills. 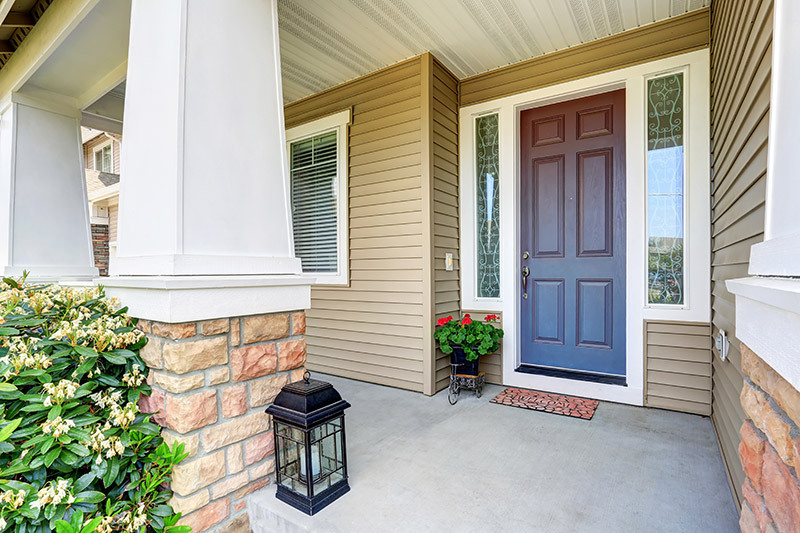 To further increase insulation, consider the addition of a storm door. The added insulation will keep your home warm during the winter and cool during the summer. 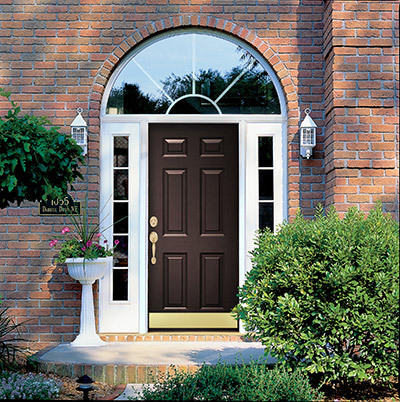 A storm door will also protect your exterior door from the 80 inches of precipitation. The only way to truly enjoy the benefits of your exterior door is if it’s installed properly. 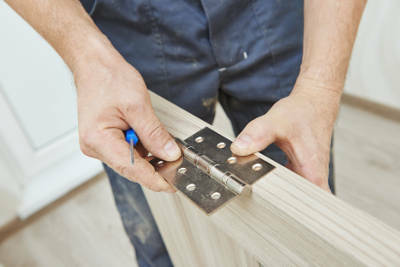 A common mistake is to have someone who isn’t a professional install your exterior doors. If it isn’t installed properly, the insulation, security and aesthetics wouldn’t be at their best. If you’re spending the time and money picking the perfect exterior door for your Milwaukee home, then you should have it professionally installed. Keeping yourself, your family and your home safe should always be on your mind when replacing your exterior doors. 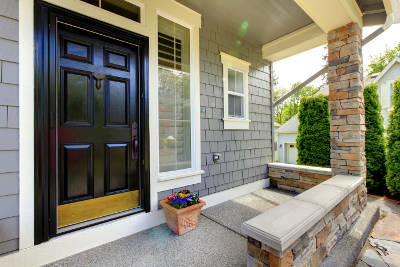 As we mentioned above, having a sturdy, secure door will make it more difficult for intruders to break into your home. Additional locks are also beneficial for home security. Once you have the perfect replacement door picked out, you can consider what additional hardware you may like. We have several different suggestions that would work well with any exterior door. Locks are beneficial for improving your home’s security but things have changed over the last five to ten years. 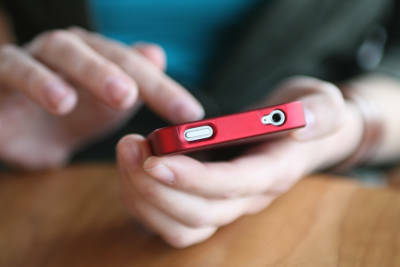 Exterior door locks now work with smart devices, removing the need for house keys. From Haven’s base door lock to August’s smart door lock to Kwikset’s Kevo, there are many different options and styles available for smart door locks. If your entryway allows it, consider adding more light into your Milwaukee home with the addition of transoms and sidelights. Transoms are windows found above your exterior door. 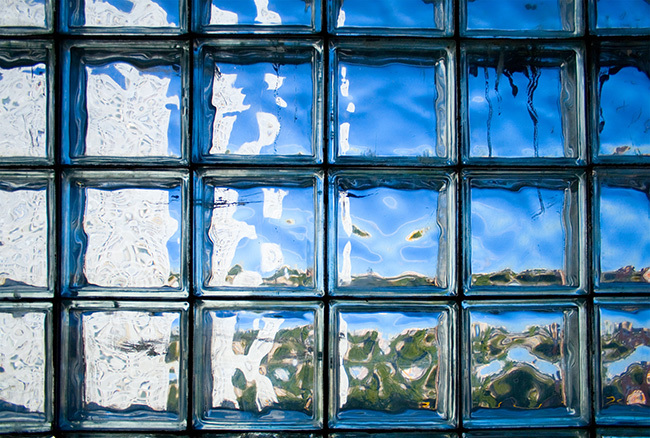 They can be square, rectangle or half circle shaped and can have many different glass styles and grid patterns. 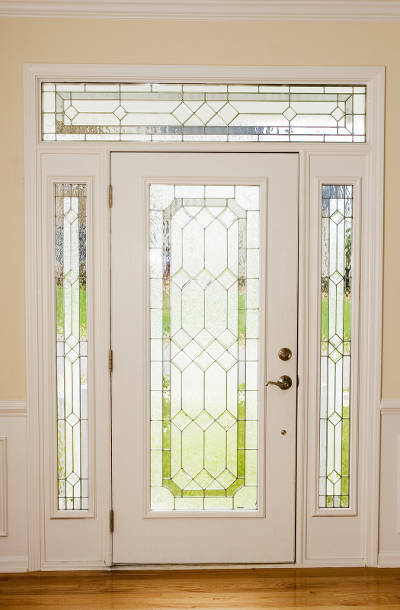 If there isn’t enough room above your door for a transom, you can consider sidelights. They are found on the left, right or both sides of your exterior door and are usually found in long rectangular frames. Now you have a few ideas on how to find the perfect exterior door for your Milwaukee home. 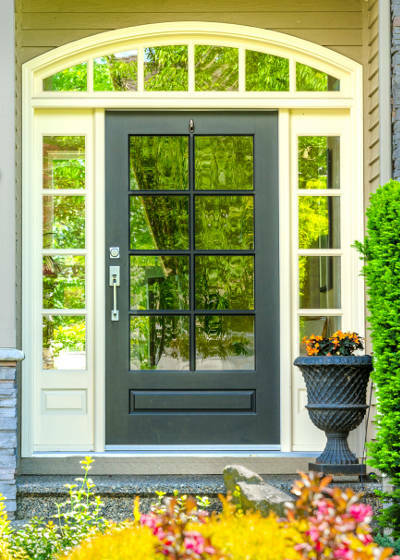 Weather, curb appeal and home security are all things to consider when picking an exterior door that works for you. Different materials have different benefits, so it’s important to know exactly what’s most important to you. 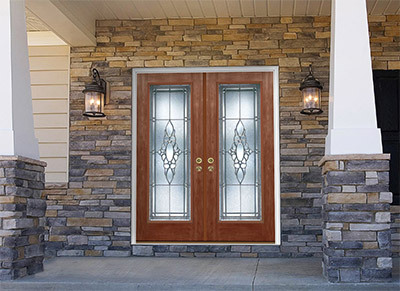 Now improve your Milwaukee home with a gorgeous new exterior door and become the envy of your neighborhood.